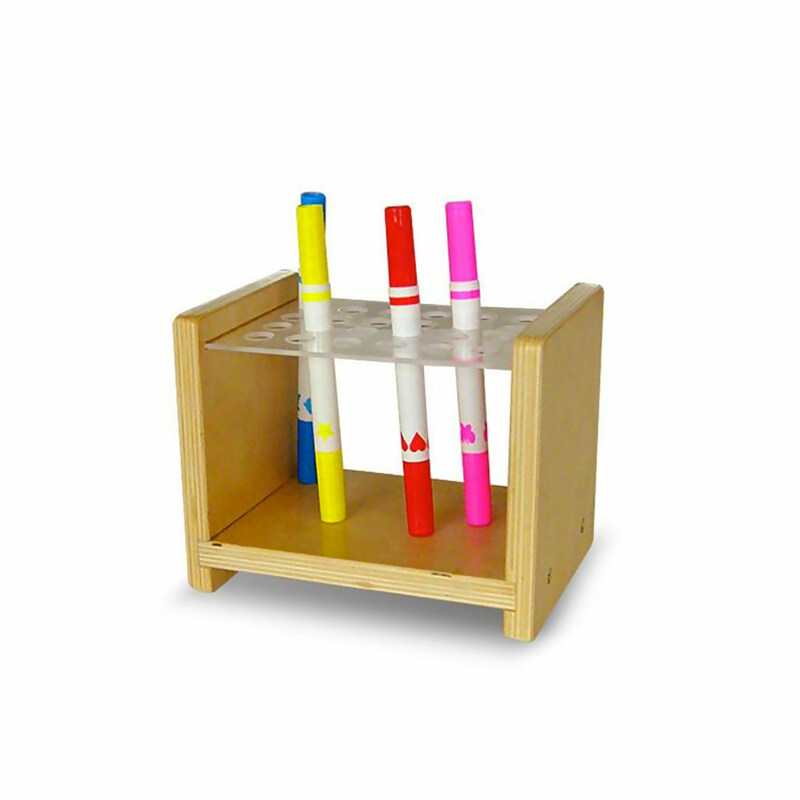 The clever birch ply Brush & Marker Holder is a wonderful addition to any playroom, art corner or nursery school. The Brush & Marker Holder is a well crafted little stand with a grid suspended on top containing 24 slots to safely and neatly store colouring markers or paint brushes. This little table is made from responsibly sourced birch plywood and made to last with sturdy construction. This product was created especially for toddlers with safety, durability and beauty in mind. It features protective corners and smooth edges coupled with moisture and stain resistant surfaces.